August 4, 2011 by MIG & Co.
With a fast evolving market, businesses are expected to keep up with all their customers’ needs. How are you supposed to keep up when there are new channels popping up every day? While your customers are more connected, they may not want to be contacted through all those channels. The problem now becomes the experience that customers have with your company. Sure customers enjoy special offers and new limited time products. But now that they can learn more about the company they are buying from, they want to build a relationship. It’s no longer about what they can buy but what the company does for their image. Businesses need to brand themselves in order to capture the market rather than offer a product they want. 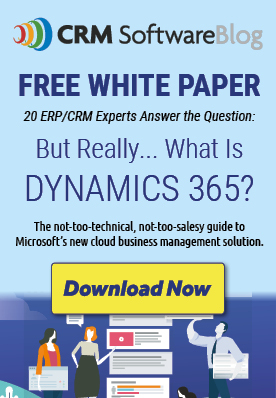 Microsoft Dynamics CRM allows you to keep track of your customers’ likes and dislikes. You can feed their demand depending on how much they are signed up for. Some of your customers may like to be contacted once a month while others prefer that they get news on your company every week. At the same time you do not want to bombard them with every campaign you have available. Within the notes section you can keep track of the number of touch points they prefer and then place them into marketing lists. Each marketing list can be separated into the number of touch points customers prefer as well as the type of information they prefer to receive and offers on the types of products/services they have been purchasing. These lists will allow you to bundle your customers who are similar to each other and increase employee productivity. In addition, you can analyze what your customers purchase and how they purchase items or services from your business. This analysis will allow your marketing team to cater advertisements to the customers’ wants as well as see which products or services offered are not doing so well. Online and in-store selling are differentiated to cater to what customers are looking for in either venue. New strategies can be implemented to reach the customers that are interested in specific products which in turn may increase revenue. The team at MIG helps companies like yours integrate and customize Microsoft Dynamics CRM solutions to address your business needs. Contact us to see how our solutions can help you capture and retain the market in this fast paced environment. MIG & Co. – MIG is a Professional Consulting Firm that specializes in the implementation of business management software solutions including Customer Relationship Management. We automate business processes to ensure our customers work efficiently. A New York City based Microsoft Dynamics Gold Partner, primarily serving New York, New Jersey and Connecticut.